Today I ran onto a food- and cooking-related site, www.complex.com (I don’t get how the name relates to food and cooking, but who cares…their information is terrific!). One of their articles that caught my attention first was on ways to do things much easier in the kitchen. This article started off: “You may not have knife skills like Mario Batali, but thanks to the Internet, you can learn tricks that'll step your game up in no time. 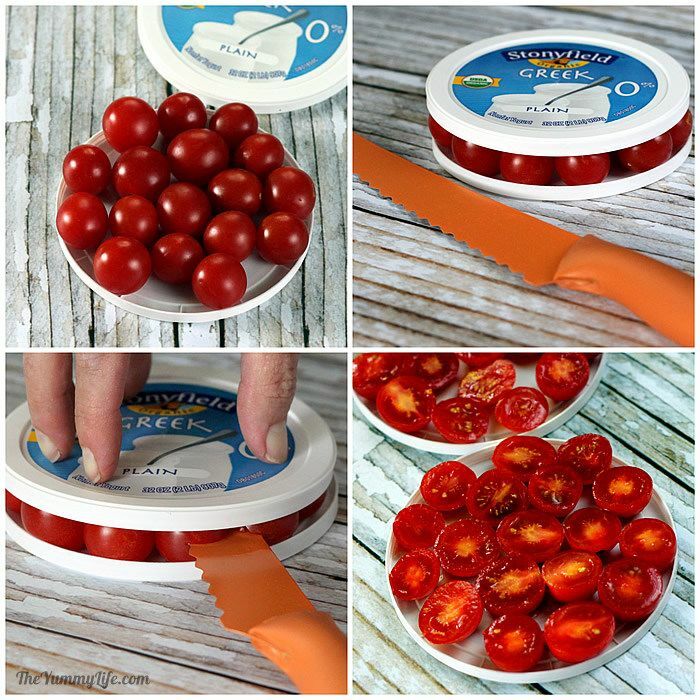 From simple, time-saving tactics, to MacGuyver-like techniques, these awesome food hacks will ensure you'll never be fumbling with a pot or pan again.” I thought AWESOME was an under-statement. Read on and see if you don’t find these ideas like kitchen cleverness on steroids! And I want to meet the smarty pants that figured this one out. Can you just imagine how much time this little trick can save? 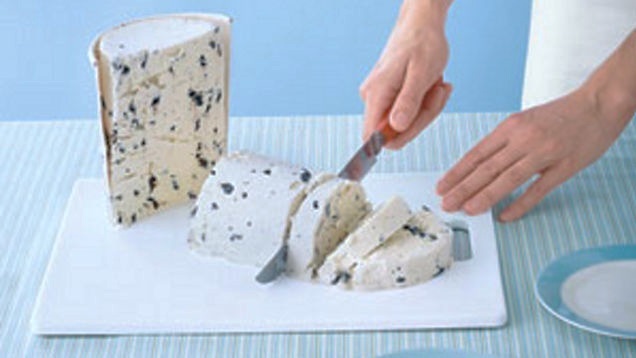 Then there’s slicing an entire tub of ice cream with a knife for easy and fast serving. I can see how this approach would simplify and speed up the making of ice cream sandwiches, as well. 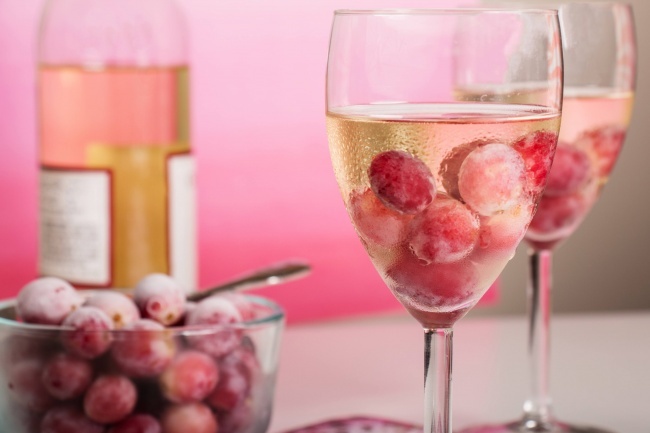 Next, why not use frozen grapes to cool your drinks without diluting them? I’m going to apply this idea to a bottle of sparkling cider I have on hold this very weekend! Oh, this is a good idea. 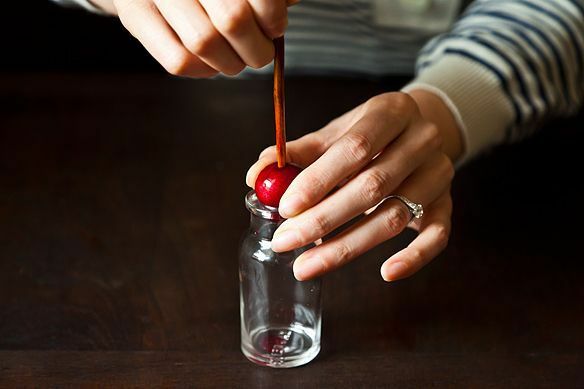 Pit your cherries with a chop stick. I’ve hesitated buying a cherry pitter because of the space they take up. Now I’m sure glad I did. 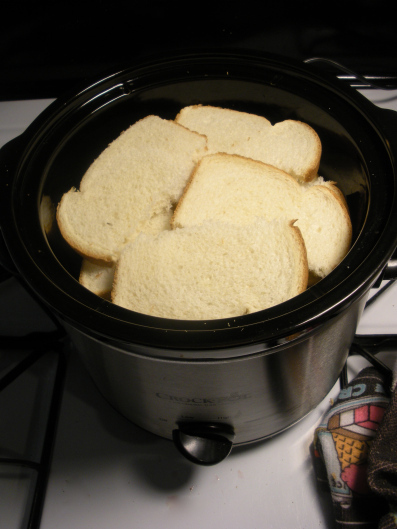 Cut each piece of bread in half and layer the bread in your cooker, as the photo shows. Pour your milk/egg mixture over it all. 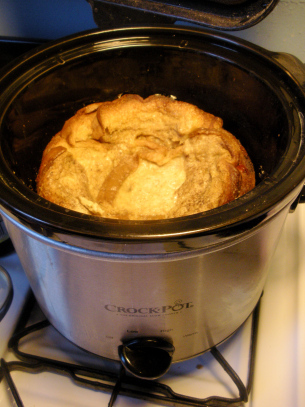 Set your crock pot to its lowest setting and let it cook for 6 hours. I’m married to a man that LOVES his corndogs, so when I saw this I was ecstatic. You can use a Jiffy Corn Muffin mix or make up a batch of cornbread batter from scratch (my preference). 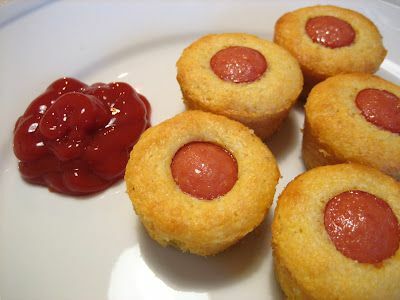 Fill each greased muffin cup 2/3 full, place a section of cut hot dog in the center and bake according to recipe directions. Guess what my sweetie’s having for supper tonight? Finally, this last idea comes from The Huffington Post: Plastic wrap always seems like a such a good idea...until you’ve somehow turned it into a gnarled, scrunched-up mess that absolutely won’t adhere to the rim of your soup bowl. From now on, wet a paper towel and run it along the rim of the bowl or plate. 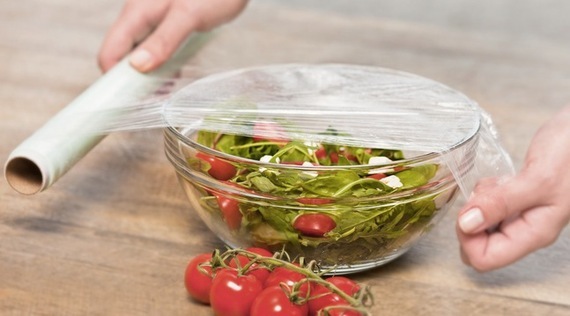 Then stretch the plastic wrap over the bowl or plate, as you ordinarily would. Behold as the wrap gets a much better grip. Why does this work? Much like gelatin, plastic wrap becomes sticky when it comes into contact with water, making it a pain to unroll (dry your hands first!) 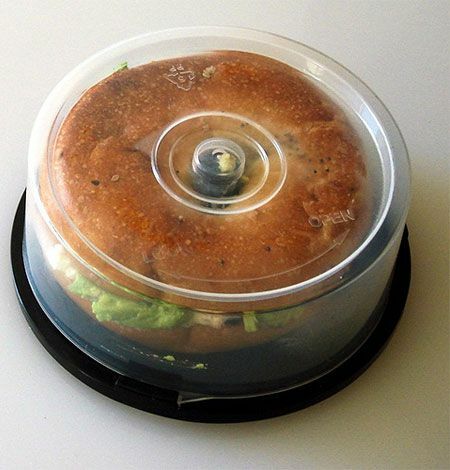 but way easier to corral around leftovers.